The Jewish Festivals Tallit set is decorated with assorted primary Jewish symbols associated with the Jewish Festivals. This tallit shawl is made from a quality blend of wool and Dacron that creates a quality tallit with a lustrous look that is fitting for festive occasions. Motifs include menorahs, candlesticks, meggilah scrolls and more. 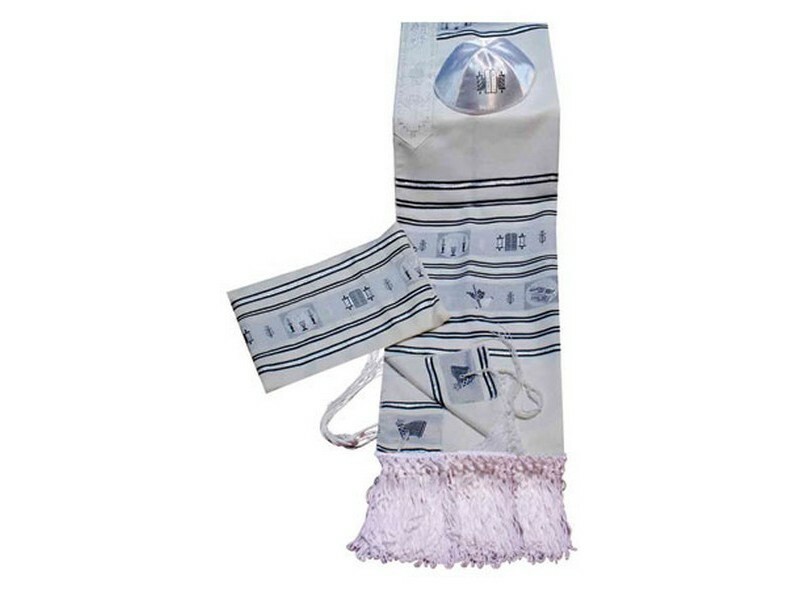 The Festivals Tallit set includes matching tallit shawl, tallit bag and kippah. 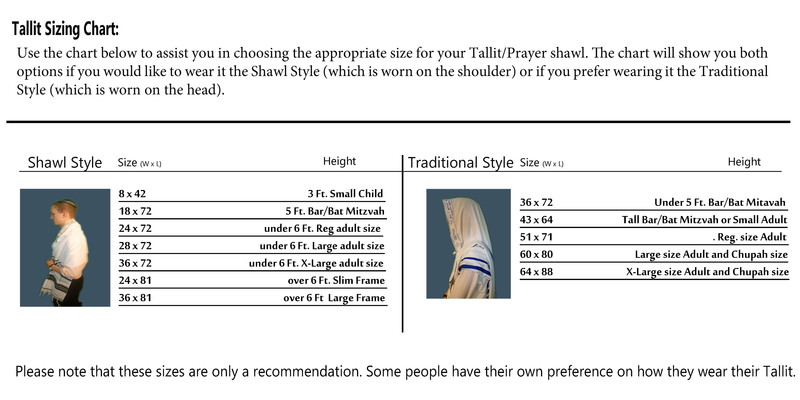 Tallit has matching atarah neckband. Both ends have decorative string style fringes. This tallit will add to the festive atmosphere making it a perfect gift in honor for any holiday.